The highest quality and purity, and specially micronized creatine monohydrate. Creatine is many years the best and most effective supplement in action about training for any athlete. Reach for the strength and mass! Creatine monohydrate in its purest form with very high strength anabolic. Fast increase of strength and muscle mass is within your reach - just use just this product. For better assimilation and even better effects of the product was further zmikroniozwany, which also positively affects the ease of dissolution. 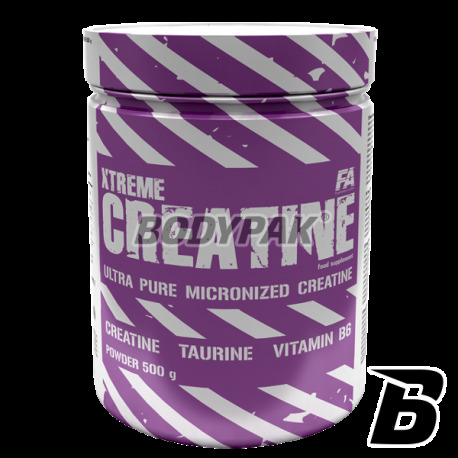 FA XTREME CREATINE® is the highest quality and purity micronized creatine monohydrate, which is one of the most popular dietary supplements among athletes around the world with scientifically proven action. Under physiological conditions body produces creatine with three amino acids arginine, glycine and methionine, which is further converted to creatine phosphate, which in turn is responsible for the ATP production, the fastest available source of energy for intensively working muscles. FA XTREME CREATINE® is better absorbed and soluble creatine. 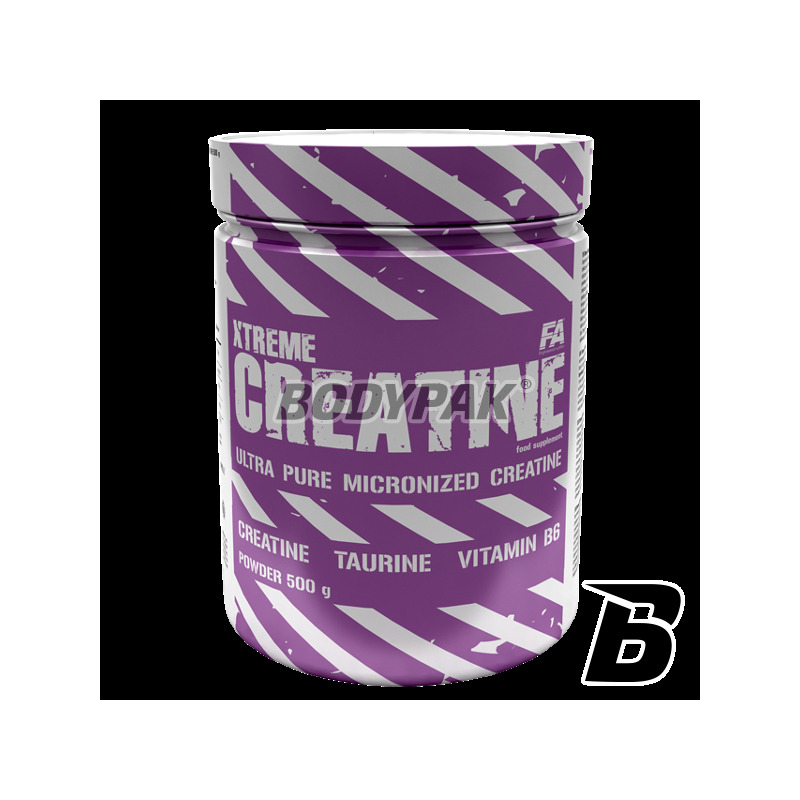 FA XTREME CREATINE® as a source of clean and most concentrated creatine helps to ensure optimal growth of muscle tissue and with the increase of muscle also increase their strength which enhances endurance and physical fitness. In addition XTREME CREATINE® provides working muscles optimal hydration to the body can work intensively for a long time. Proper hydration of muscle tissue causes the outermost cells undergo intense proliferation (proliferating), resulting in an increase in muscle mass. 1 serving before and one serving after training. 1 serving in the morning, 1 serving in the afternoon. Składniki: monohydrat kreatyny, tauryna, witamina B6 (chlorowodorek pirydoksydyny). Dobry monohydrat, stosuje i polecam!! Creatine Monohydrate Powder Creapure - is a micronized form of creatine, which is a form more readily soluble and absorbed into the tissues of the traditional monohydrate.